With more than half a dozen ebooks currently to her credit and her first print book released in 2008, Diana Castilleja has kept busy since she started writing professionally in late 2004. 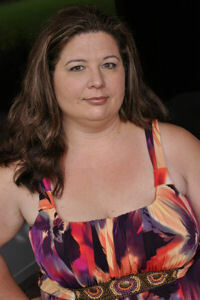 Diana currently resides in central Texas with her husband and son. When not focusing her energy on her family and her writing, she loves to travel and haunt bookstores. She's lived in several states across the south and midwest, as well as traveling to Mexico. With moving every year or changing schools since the fourth grade to her sophomore year, she learned reading was a fast escape. The freedom to read about anything and everything has fueled her adult imagination. She also enjoys romance, horses, and yes, still loves to read. Right now, she's probably attacking her keyboard writing her next book. If she's not, she should be!